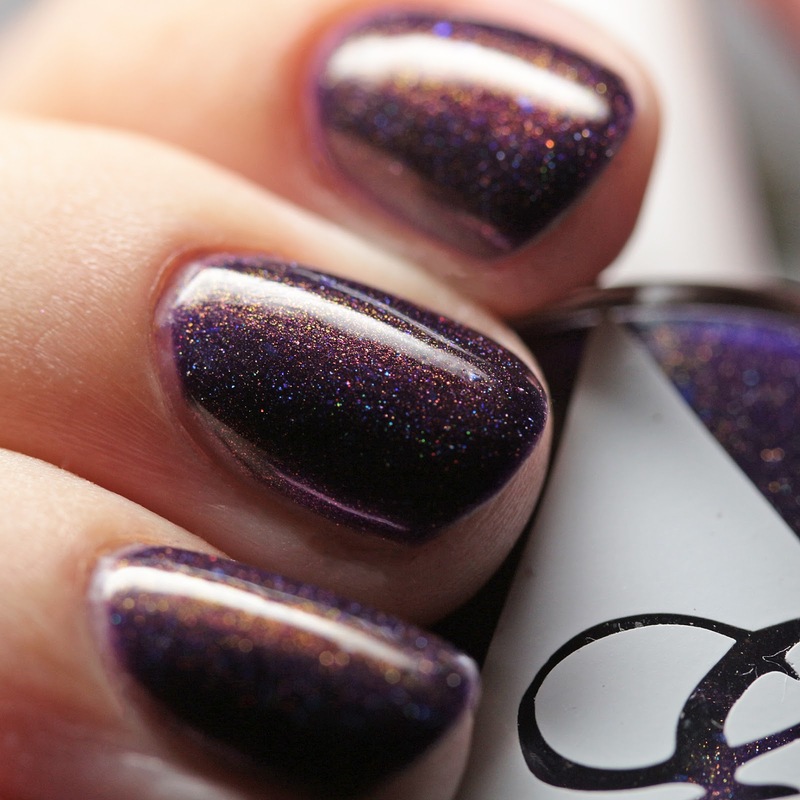 Envy Lacquer Abalone Crown is a white jelly with scattered holo shimmer and duochrome iridescent flakes. I wore it in three coat, but two might do. This one dries quickly but is on the thick side - my understanding is that Melody will be creating the main batches a bit thinner. I love how the flakes glimmer out of the white jelly base - it definitely has an abalone quality to it! 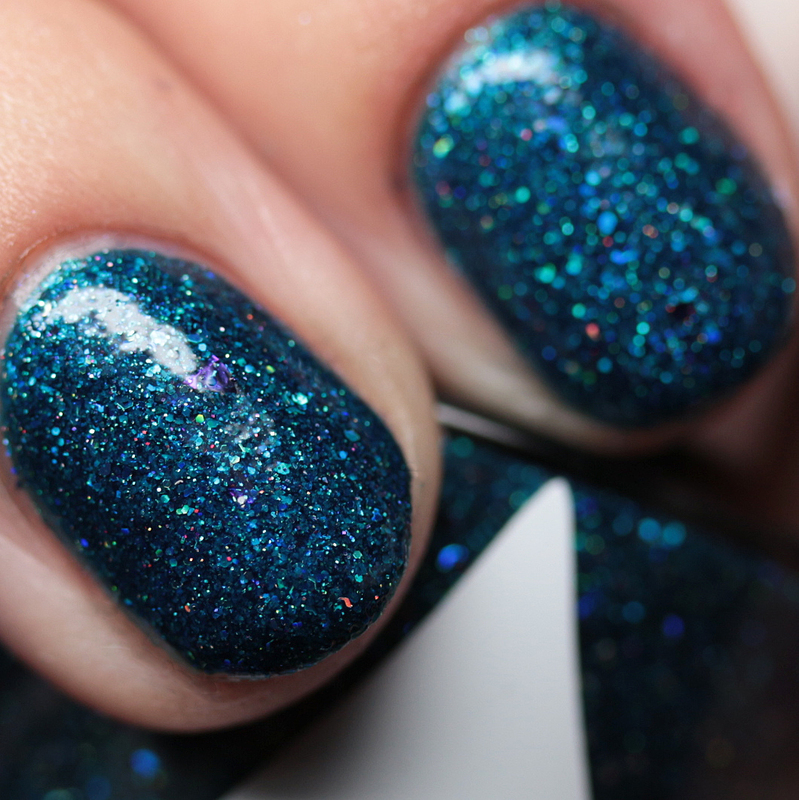 Envy Lacquer Don't Be a Seawitch is just amazing. That is all. I cant just leave you with that can I? 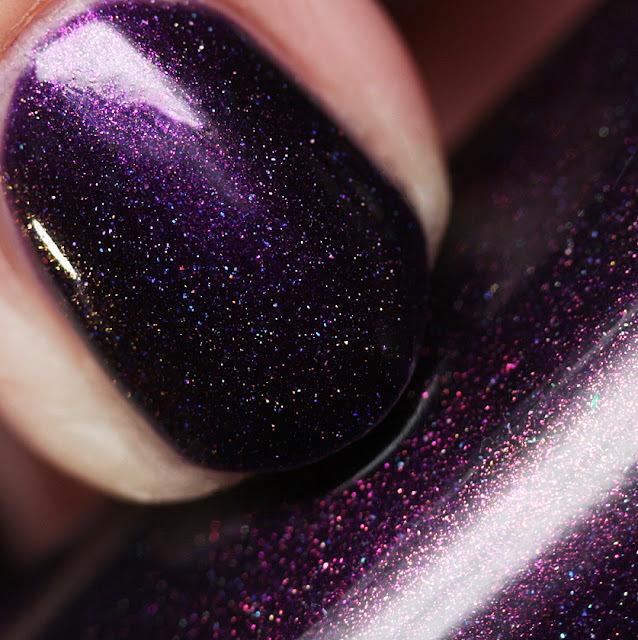 It is a deep violet with magenta-to-green multichrome shimmer, scattered holo shimmer, and green-to-blue multichrome flakes. I am completely in love with the richness of this shade. I wore it in two coats, and it dried nicely. It is on the thick side, but manageable - the polishes will be sold with a thinner consistency. Envy Lacquer Make Waves is a teal with teal and red holographic microglitters and purple-to-orange multichrome flakes. This one covers in two coats and is on the thick side, but manageable - the final version will be thinner. 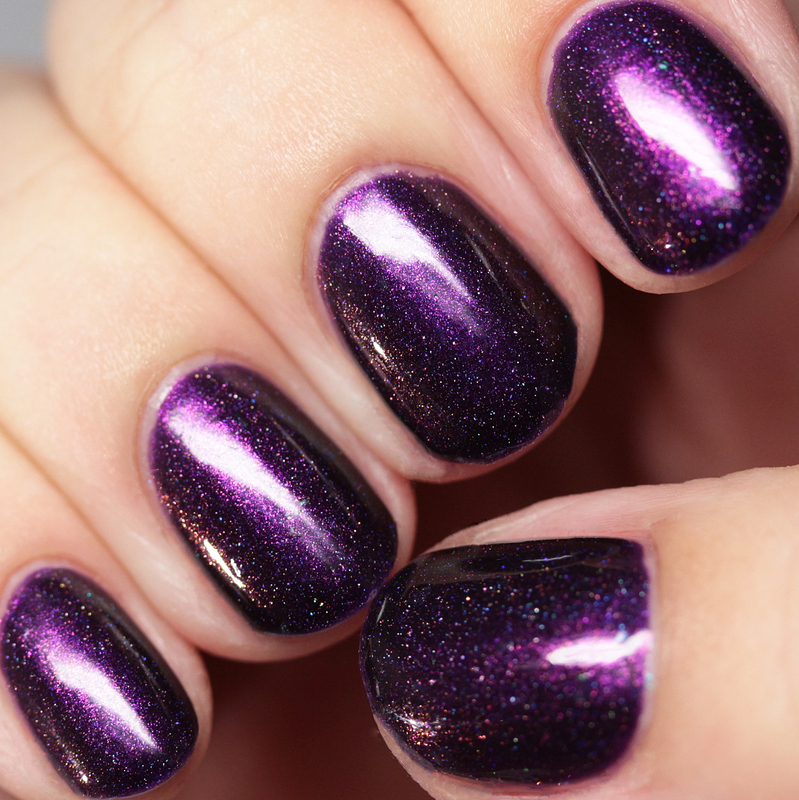 It has some texture due to the glitters, but smooths out pretty well with a thick top coat. I love how the little red glitters and multichrome flakes pop on this one! 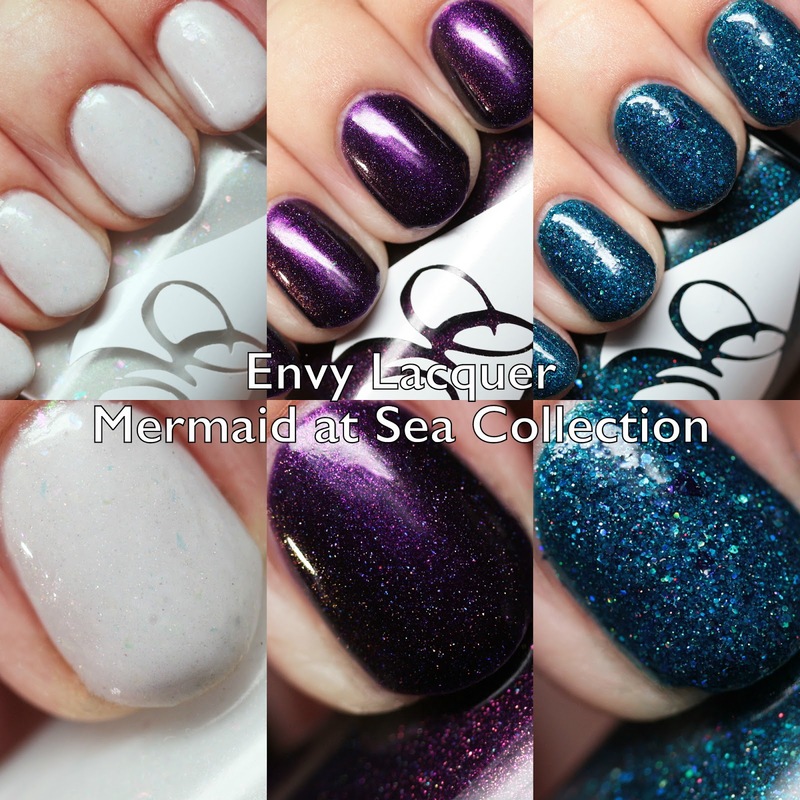 The Envy Lacquer Mermaid at Sea Collection launches on July 29 at Indie Shop San Francisco and online on August 2. 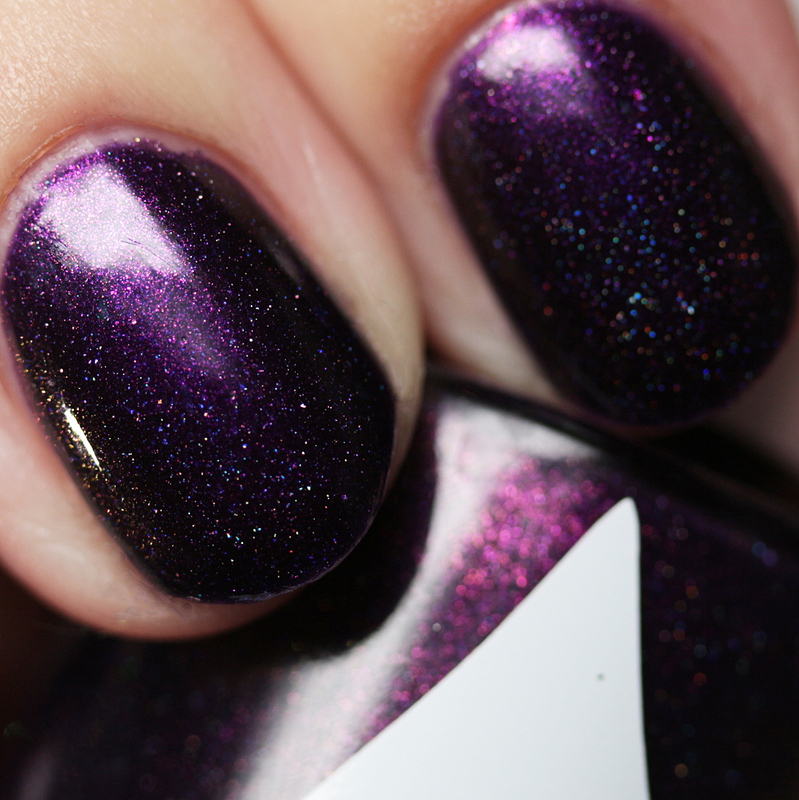 It has all the complexity and flakie goodness I love from Envy Lacquer! Do you have a shade you prefer?